Spider veins tend to appear on your face and legs, where they affect your appearance and often cause embarrassment. Dr. Hei Jin Chung has years of experience safely and permanently eliminating spider veins using two top treatments: sclerotherapy and laser vein treatment. 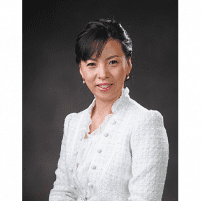 To learn more about spider vein removal, call her practice, Dr. Chung Vein Specialist in Phillipsburg, New Jersey, or book an appointment online. Spider veins, or telangiectasias, develop from small blood vessels that you usually can’t see even though they’re close to the skin’s surface. Over time, the vessels enlarge and become visible, resembling a red, blue, or purple spider’s web. What symptoms are caused by spider veins? Spider veins usually cause a cosmetic problem rather than a medical concern. Some patients don’t experience any symptoms, while others may develop itching, burning, and pain. Are you at risk for spider veins? How does sclerotherapy treat spider veins? Sclerotherapy eliminates spider veins by injecting a solution into the veins, making them collapse and seal shut. The veins are easy to inject using a thin micro-needle because they’re so close to the surface. Your body naturally eliminates the treated veins, so they ultimately disappear over four to eight weeks. Sclerotherapy takes about 20-30 minutes, depending on the number of veins and size of the treatment area. You can get back to your daily activities when your session is over. How does the Excel V™ laser treat spider veins? 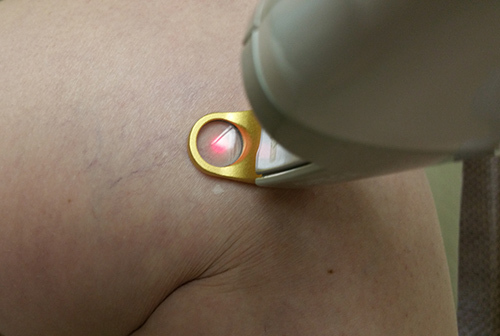 Dr. Chung also treats spider veins using the Excel V laser. The laser operates at a wavelength that selectively targets colored pigments in the blood vessels, which means it doesn’t affect surrounding tissues. 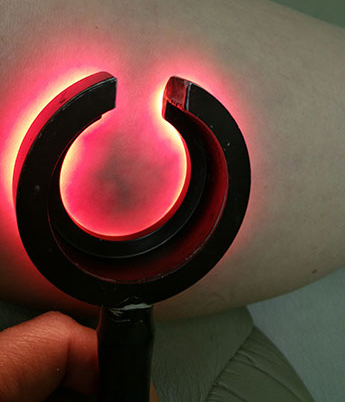 Heat from the laser seals off the spider veins; then your body reabsorbs the treated veins. As a result, they’re permanently removed. One session takes about 10-30 minutes, depending on the treatment area. You may experience slight redness similar to a minor sunburn, but you won’t need to take downtime. Is spider vein removal permanent? The spider veins treated by Dr. Chung are permanently removed. New veins, however, may eventually reappear. There’s no way to predict whether you’ll have to deal with more spider veins in the future, but you can take steps to prevent them. For example, losing weight if needed and taking frequent breaks from sitting may help. Dr. Chung may also recommend wearing compression stockings. 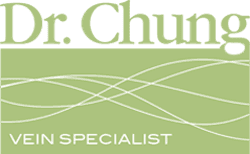 Please call Dr. Chung if you’d like to have your spider veins removed or book a complimentary consultation online.